History is everywhere. 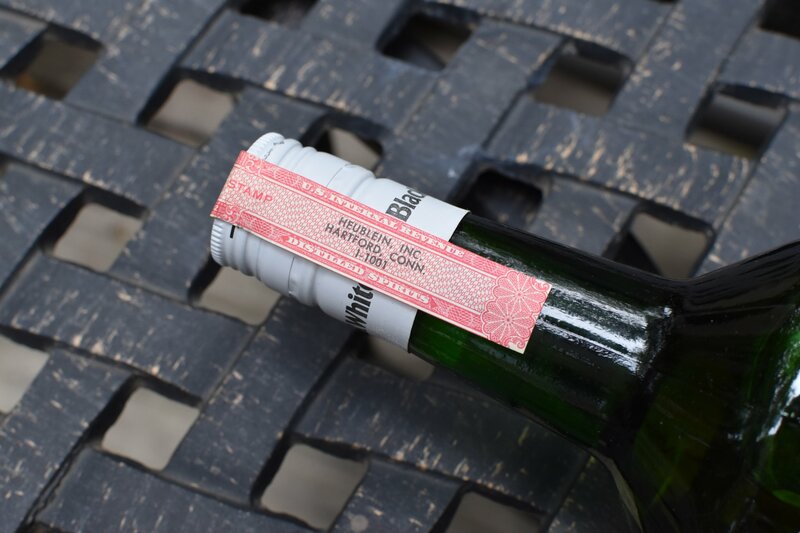 The next time you come across a dusty bottle and imagine it’s age, remember that every bottle has a history. Take for example this bottle of early 1970’s Black & White Scotch. The bottle itself, unearthed from my mother-in-law’s basement to save family treasures from a recent flood, sealed and in the original box has a value of $200 – $300. However, the actual history of the bottle is more valuable than its monetary worth. 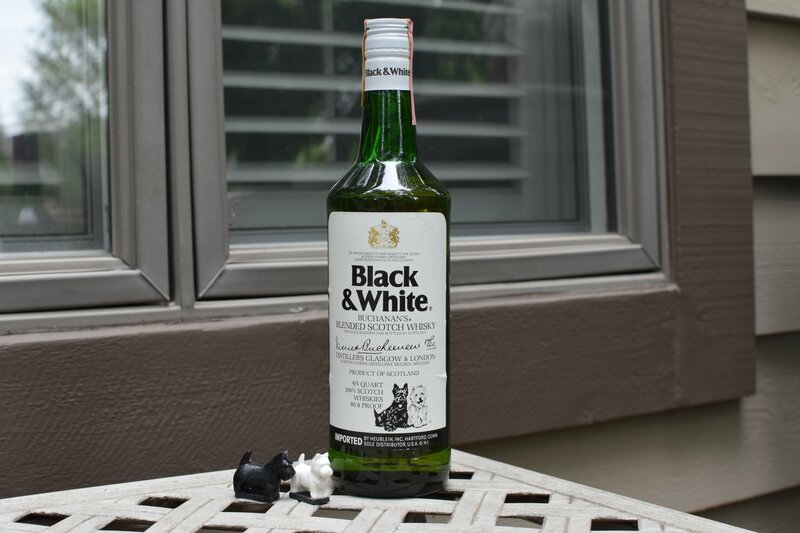 This particular bottle of Black & White Scotch came from the personal collection of a life-long representative of the liquor industry, Sammy Fields (Salvatore Ricardo Nuccio, 1921-1989) my wife’s grandfather. Sammy, a first generation Italian Chicagoan was born in a house on Sedgewick Street adjacent to Wrigley Field. His father, Antonio, was a Chicago barber who passed away when young Salvatore was only 12. In an effort to step in as a father figure, Salvatore’s (Sammy) maternal uncle, Morrie Barbaria made himself present. In the year following Antonio’s death, Uncle Morrie took Salvatore on weekend trips back and forth from Chicago to Milwaukee – and beyond on the notorious Blue Mound Road. What young Salvatore did not know was that the weekend jaunts were Uncle Morrie’s regular route where at local cheese stands and out-of-the-way farms Uncle Morrie picked up cases of moonshine and drove them back to Chicago. Just as Salvatore was turning 13 Prohibition ended and so did the trips to Wisconsin. You could say that this was Salvatore’s first job in the liquor industry. Salvatore went on to take up boxing, win the golden gloves at the Chicago Youth Authority, take part in the 1935 Olympics with the CYA and eventually graduate from Lane Tech HS in Chicago. He went on to serve in the US Marine Corps in WWII. Once Salvatore (now known as Sammy Fields due to discrimination of the Italian community hence he boxed under a different name) left the service he needed a job. As luck would have it Sammy met a man 4 years his senior named Art Edelstein. Art had also served in WWII and upon his return he started a liquor distribution company that he named South Shore liquors. Art offered the gregarious and handsome young veteran his first job in the liquor industry. Representing South Shore Liquors for whom he sold wine and spirits to restaurants, bars and liquor stores successfully throughout the Chicago area. The relationship remained strong between Sammy and his liquor mentor, Art, and in 1958 when Art purchased Old Rose distributors, he made Sammy sales manager. 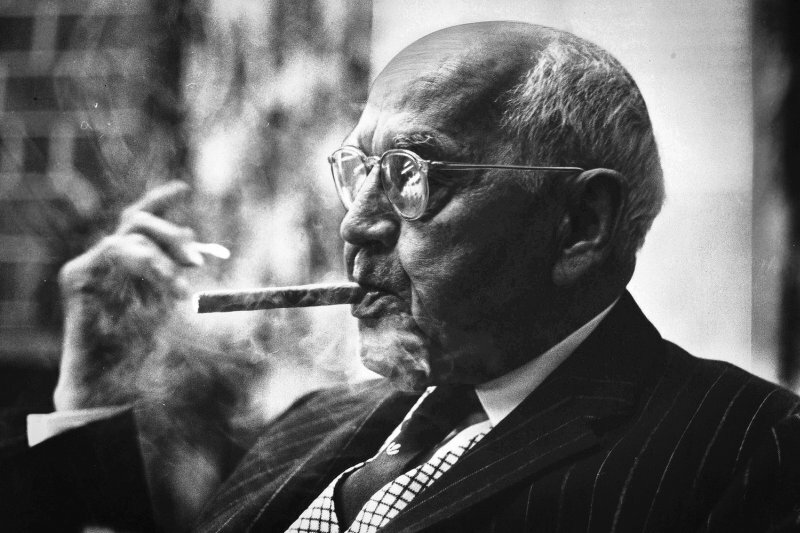 As Sammy’s success within the industry grew, so did his knowledge of wines and spirits and his reputation for being an excellent sales rep. In the early 1960’s Sammy left Old Rose and took a position with his new friend and mentor, William (Billy) Wirtz, where Sammy worked as a sales manager for Judge & Dolph, the Wirtz company’s liquor distribution center. 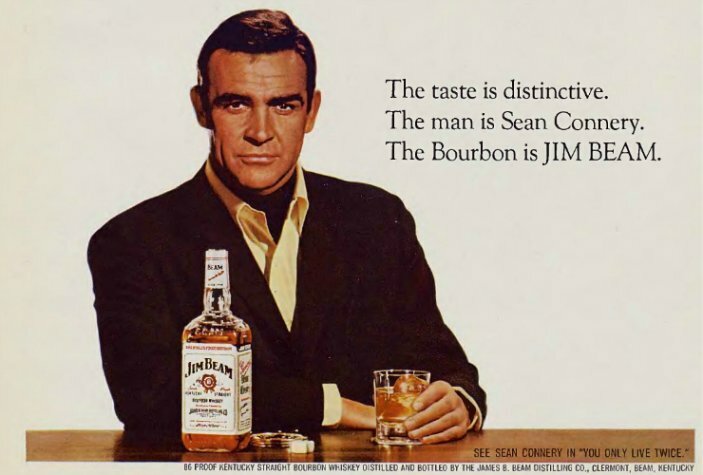 Throughout Sammy’s tenure with Judge & Dolph he focused on the sales and distribution of brands including Smirnoff Vodka, Crown Royal, Seagram’s VO, Chivas Regal and Glenfiddich scotch. Black & White with their signature Scottie and Westie Terriers. As the 1960’s came to a close, Sammy was offered a sales management position with Heublein Spirits. With the Heublein Corporation throughout Chicagoland, Sammy increased the footprint of many varietal wines, the first premixed cocktails, and Black & White Scotch. 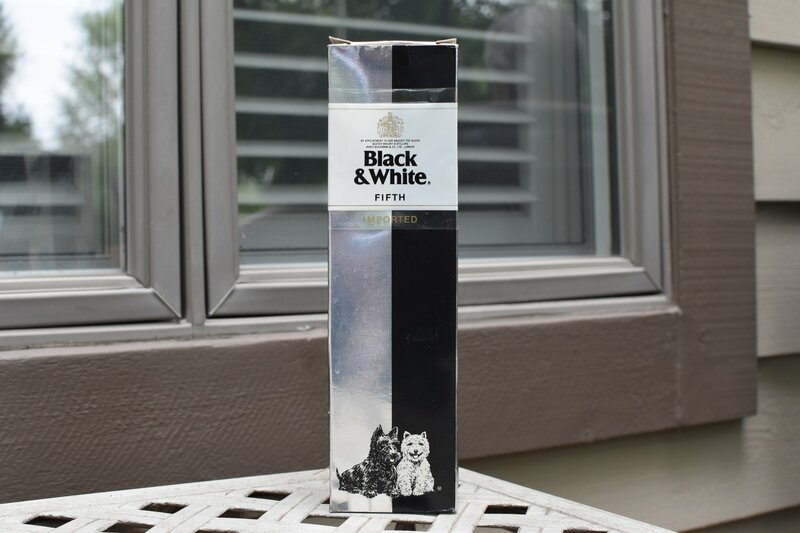 When Black & White acquired by Diageo Sammy continued his professional relationship with Diageo until his retirement from the company in 1986. Once retired however, he continued regaling his friends and family with rich tales of the liquor industry throughout his 40 year career in the liquor beverage industry (Not counting the unintentional bootlegging). He held on to many bottles of bourbon, scotch, wines and cocktails, often saying that they were, “Too special to drink now.” Hence the discovery of this special bottle of Black & White. Will we save this bottle as “Too Special” or will we break the seal and have a toast to the early orphaned, boxer-preteen bootlegging, seller and purveyor of fine liquor, Sammy (Salvatore Ricardo Nuccio) Fields? That my friends will be revealed in a future post.